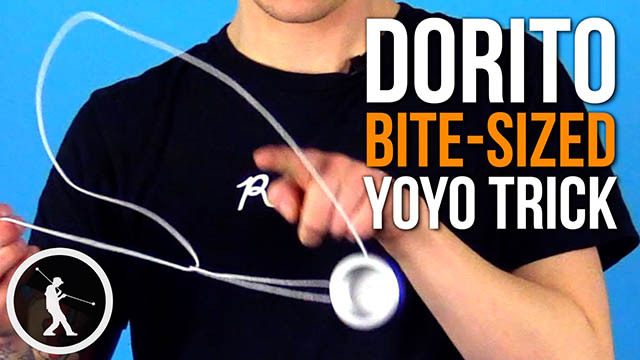 Learn the Dorito Yoyo Trick, a development of the Cheese Whip. This is the Cheese Whip Triangle, some people call it the Dorito. It looks like this. 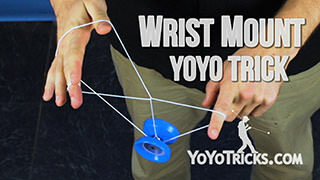 This trick is basically a Cheese Whip, but instead of landing the yoyo into a Wrist Mount, we are going to whip the string into the back half of the yoyo, and at that last second, before that string catches on the back half of the yoyo – the string that I am pinching with my non-throw hand – I am going to cross over with my throw hand, the string that is connected to my throw-hand middle finger, that is what creates the intersection of strings and makes my Green Triangle. 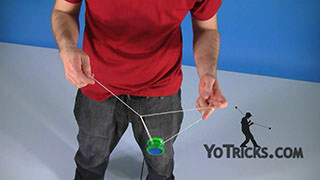 Once again I am going to cross over this hand that is what creates the intersection of strings creating my triangle. One very crucial part to making this trick work, as you can see from this angle, my wrist really defines where my string is aimed at. 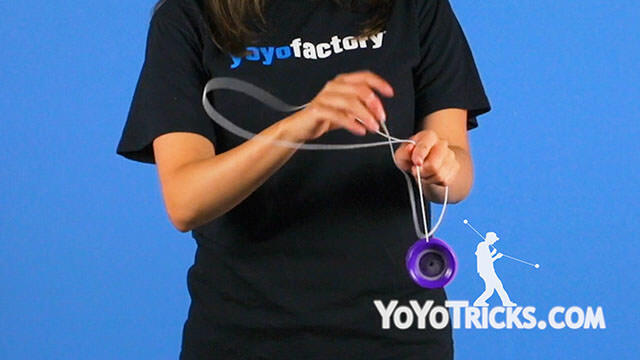 So, if you are having problems landing your yoyo in the triangle, make sure that your wrist is properly aimed at the yoyo. 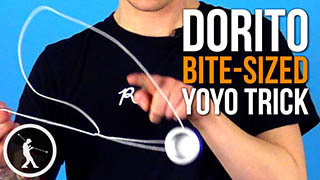 A couple other crucial tips to making the Dorito work, is when you are whipping the string around be sure that the yoyo is very close to your non-throw hand, and that before the last second when you release your slack – see how close my hands are together, they are almost touching – creates this nice big loop to catch our yoyo and then we can throw it around. Another crucial part, there are two slack rotations. 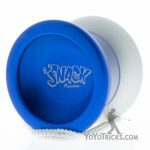 They go on the inside and the outside of your throw-hand arm. Watch what that looks like. 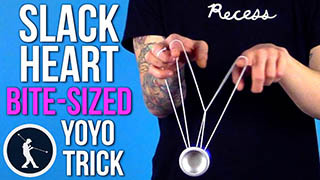 You want to throw the slack around, I create the triangle, this is what is happening right here, if I dropped it I would create a triangle but I am going to pinch, I am maintaining the pinch on my throw hand, make one rotation on the inside of my arm, then I am going to pull my throw hand arm back making room on the front-half to throw the yoyo up and catch the triangle like so. Once you put all of those motions together, that is the Dorito.